The Central Shenandoah Planning District Commission (CSPDC) is one of the region’s partners in economic development. The CSPDC is a designated Economic Development District under a program administered by the U.S. Department of Commerce’s Economic Development Administration. Additionally, a portion of the region is considered a Local Development District under the Appalachian Regional Commission. The two programs support the CSPDC’s economic development activities. These activities include economic strategic planning, coordination with state and federal agencies, project development and implementation, grant writing and administration, and data analysis and distribution. Economic Development Planning and Technical Assistance. The CSPDC provides planning services to all cities, counties, and towns within the CSPDC as well as the Shenandoah Valley Partnership. The CSPDC is responsible for updating and maintaining the Central Shenandoah Valley’s Regional Comprehensive Economic Development Strategy (CEDS). Data Resource. The CSPDC provides economic and demographic data on a regular basis to a variety of users, both public and private. The CSPDC also provides data analysis to its localities through the use of Community Analyst. Regional Data Center. The CSPDC maintains an independent database of regional and local demographic and economic information accessible through the CSPDC website. The Regional Data Center includes over 175 annual and historical demographic measures and is provided as a free public service. Economic Asset Web App. The CSPDC created an interactive web app called, Discover. Locate. Grow., that allows users to discover business and quality of life assets in the CSPDC region. Users can find demographic and economic information for the localities in our region. Project Development & Grant Assistance. The CSPDC assists local governments in leveraging state and federal funds to plan and implement economic development projects and programs. The CSPDC assists its localities in identifying potential financial resources for projects, preparing grant applications, and administering grant programs for a variety of economic development projects. Grant Resource Center. The CSPDC maintains a centralized Grant Resource Guide for use by staff, localities, and planning partners. Available on the CSPDC website, the guide lists state and federal grant sources, eligibility criteria and requirements, application guidelines and deadlines. Broadband Planning & Assistance. CSPDC staff provides planning services and technical assistance to localities to build and expand broadband infrastructure in order to increase economic competitiveness. Services include acting as a broadband information resource for CSPDC localities and state agencies, developing broadband studies and implementation strategies, assisting localities in identifying and submitting funding applications for broadband planning and implementation projects, and providing project management and grant administration services. Economic Development District (EDD). The Central Shenandoah Planning District Commission is a designated Economic Development District (EDD) under a program administered by the U.S. Department of Commerce’s Economic Development Administration (EDA). Economic planning services are provided to all cities and counties within the CSPDC region. One of the CSPDC’s primary responsibilities as an Economic Development District is to prepare a Comprehensive Economic Development Strategy (CEDS) for the District. Among the plan’s participants are the Shenandoah Valley Partnership, local economic development organizations, local government representatives, private sector representatives, Workforce Development Board, and higher education. The CEDS program analyzes the regional economy and serves as a guide for establishing regional goals and objectives, developing and implementing a regional plan of action, and identifying investment priorities and funding sources. The CEDS is based on a set of Key Regional Strategic Initiatives that are intended to strengthen the economic competitiveness of the region and its communities. The implementation of the economic development activities that support these initiatives relies on the participation of numerous partners. The Key Regional Strategic Initiatives have been endorsed by over 70 organizations in the region and adopted by both the CSPDC Board of Commissioners and the Shenandoah Valley Partnership Board. Local Development District (LDD). 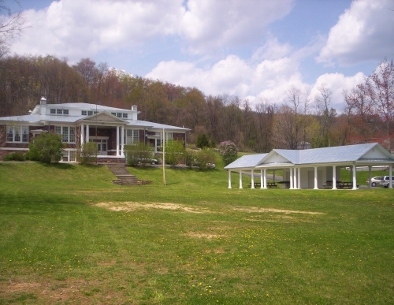 The CSPDC is a Local Development District (LDD) under a program administered by the Appalachian Regional Commission (ARC). Through this program, the CSPDC provides services such as comprehensive planning and special studies, project development and management, grant writing, and GIS mapping and analysis to the counties of Bath, Highland and Rockbridge and the cities of Buena Vista and Lexington. Cost of Living Survey. The CSPDC collects pricing data for the Cost of Living Index. This program surveys the costs of specified grocery, housing, utility, transportation, healthcare, and miscellaneous goods and services in our region and compares them to other places across the country. 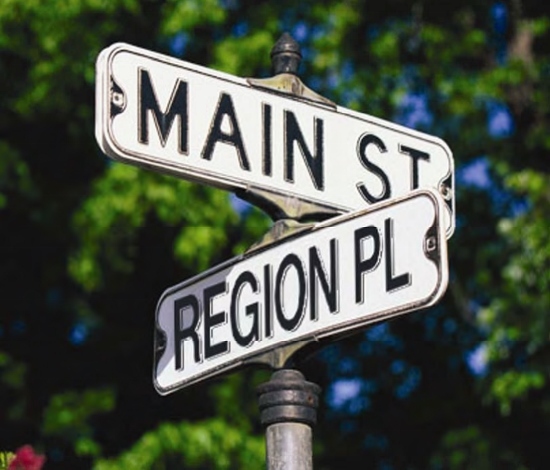 Pricing is collected and submitted for three separate areas in the region, Harrisonburg-Rockingham, Staunton-Augusta-Waynesboro, and Lexington-Buena Vista-Rockbridge. Facts & Figures. The CSPDC produces and distributes Facts and Figures, a publication of regional and sub-regional economic and demographic data. Facts and Figures are distributed free of charge to the public through the region’s local governments, area economic development organizations, Chambers of Commerce, Realtors Associations, and Tourism Centers. They also are available on the CSPDC’s Regional Data Center website. Facts & Figures are available for Staunton-Waynesboro-Augusta County, Bath County-Highland County, Lexington-Buena Vista-Rockbridge County, Harrisonburg-Rockingham County, and the Central Shenandoah Valley Region. Fields of Gold Regional Agritourism Program. The CSPDC coordinates and staffs the Fields of Gold program. Fields of Gold began as an economic development proposal by the CSPDC in late 2010. The initiative quickly took hold as a partnership between local governments, tourism and economic development entities, and the farming community. 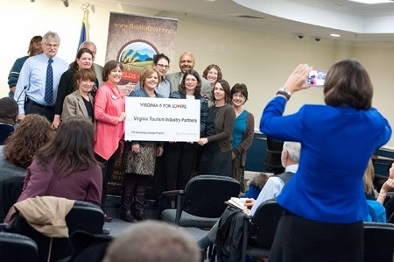 The program is a collaborative effort to market the rich and diverse agritourism destinations throughout the Shenandoah Valley. It is intended to create and retain jobs on the farm, expand tourism jobs off the farm, and nurture an environment for entrepreneurism. Fields of Gold covers an 8-county, 5-city region. This award-winning program has leveraged funding from the Virginia Department of Housing and Community Development, Virginia Department of Agriculture and Consumer Services, Virginia Tourism Corporation, and U.S. Department of Agriculture. Funds are used to collectively market the Fields of Gold Farm Trail and its over 200 agritourism businesses, as well as to provide business support services to those businesses. Community Strong Program. The CSPDC was awarded a USDA Rural Community Development Initiative (RCDI) grant to develop and implement the Community Strong Program. The CSPDC provides focused technical assistance to a group of small, economically distressed localities to build their capacity to address the challenges of community development and economic competitiveness. Virginia Telecommunication Planning Initiative (VATPI) projects for Augusta County and Bath-Highland Counties.